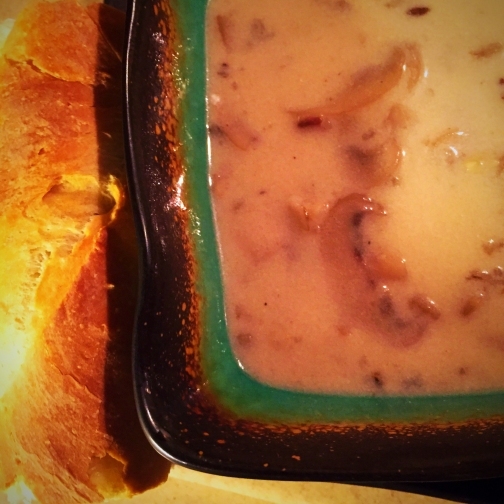 This has been one of the warmest winters on record in Pennsylvania, but just a few days ago the temperature finally dipped down below 10°F, just in time to make some hot comforting soup for winter! This recipe comes from my mother, who got it from her mother, and it's another one of those family recipes that is not written down anywhere. We all know it by memory, but today I thought I would share it with you! Not a fan of rice? 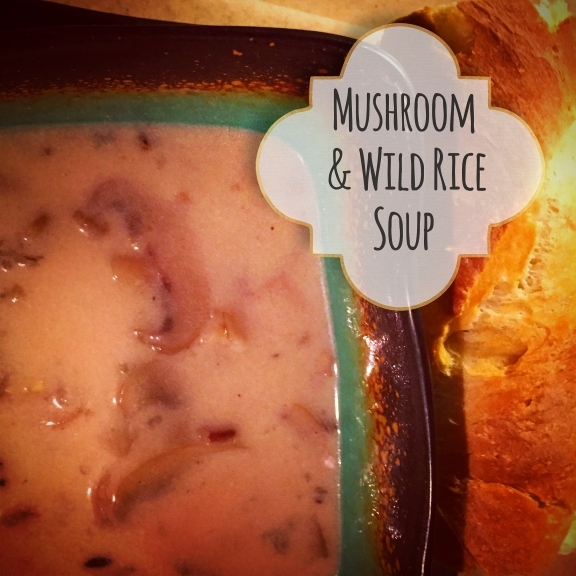 The wild rice is optional - omit it and you will have regular, rich & delicious cream of mushroom soup! 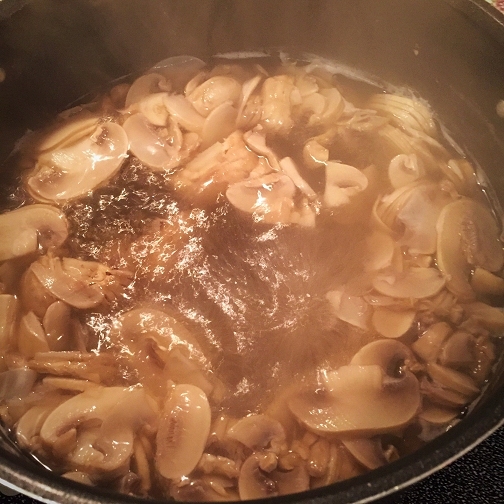 Wash and slice mushrooms, and then place mushrooms in a large soup pot and cover with water and a little extra water (I use about 6 cups of water; if I am using more mushrooms I will increase the water a bit). Sprinkle with about 1/2 teaspoon of salt. Cook on medium high heat. Simmer mushrooms on medium high heat until mushrooms reach a rolling boil, then turn down and simmer over medium heat. 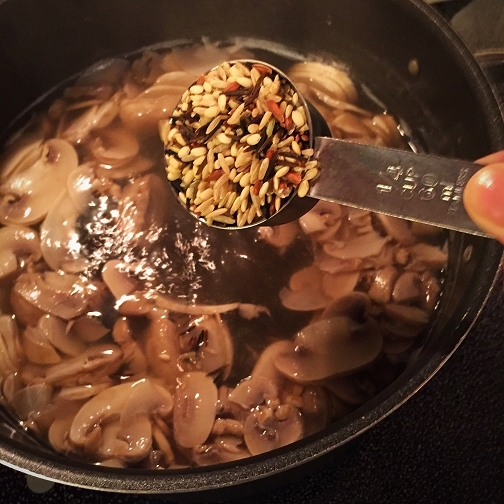 Add 1/4 cup (or more if you like) of wild rice to the simmering mushrooms. I usually add between 1/4 to 1/2 cup of rice. 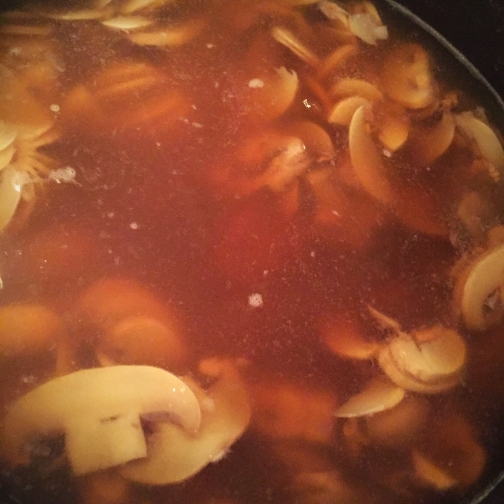 Add one cup (or one can) of beef or chicken broth to the mushrooms. 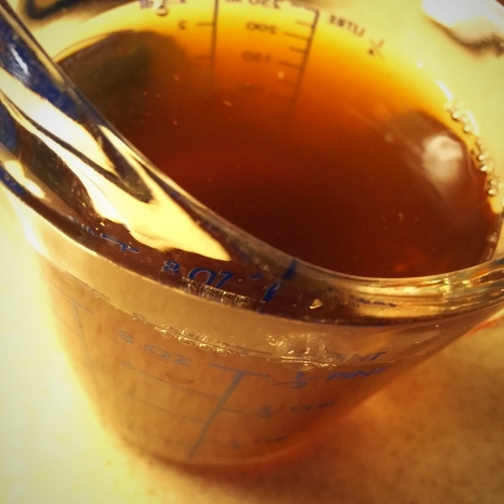 I use beef broth. 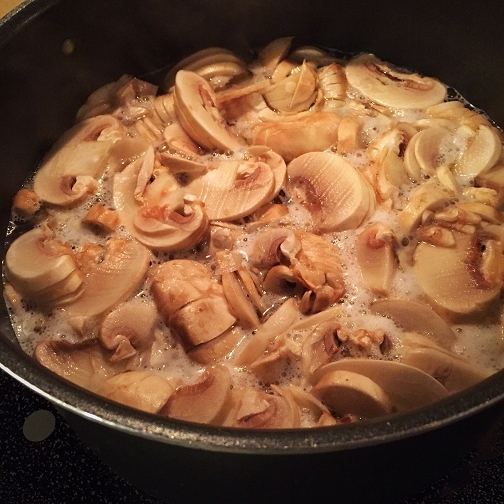 Continue to simmer the mushrooms, water, rice, and broth on medium heat. While the mushrooms are cooking, in a separate medium bowl add 3/4 container to one whole container of sour cream. Add 1 heaping tablespoon of flour and two tablespoons of water. 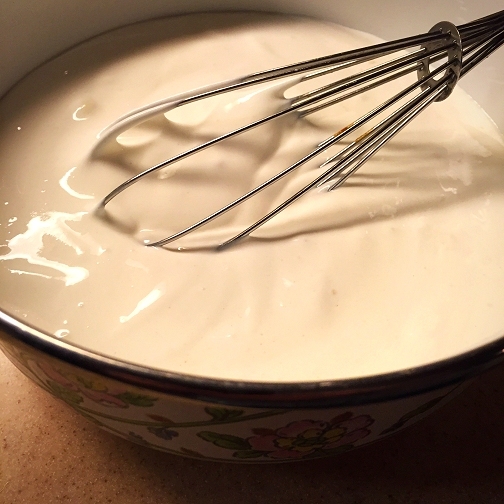 Whisk the sour cream, flour, and water together well and then set aside. 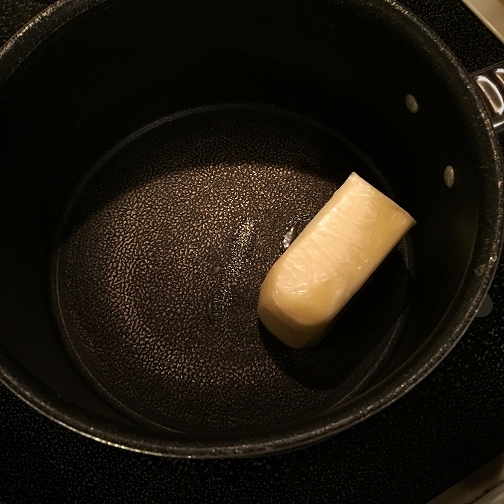 In a separate, medium sized pot, melt 1/2 stick of butter over medium heat. 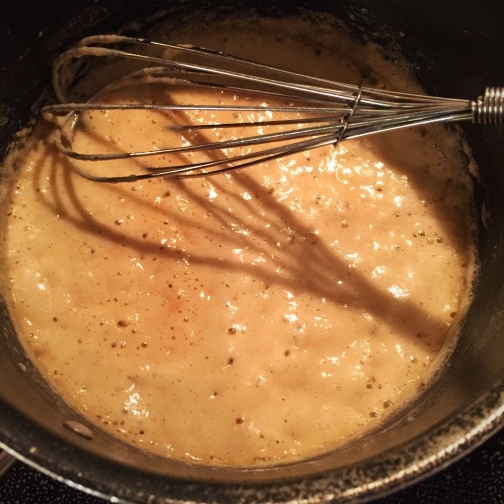 Once it is a nice golden brown as in the photo above, remove from heat and carefully mix the roux into the pot with the mushrooms. 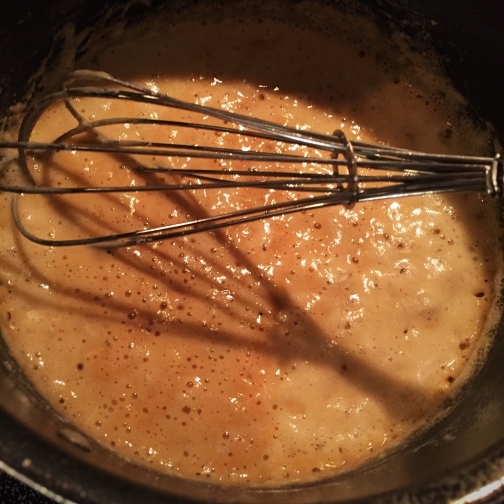 It will usually bubble up when you pour the roux in with the mushrooms, so pour slowly! Now add the sour cream mixture to the mushrooms, whisking it together well. Add salt and fresh ground black pepper to taste. Simmer, covered, for another 3o minutes or until mushrooms and rice are completely cooked and tender. Serve with a crisp salad and crusty bread. Enjoy! What a great winter treat! I love soup all year long. I'm so glad we've had a mild winter here in Iowa too. If all this rain would have been snow, we would have been buried til July!